Somewhere in the teeming heart of London is a man on a lethal mission. His cause: a long-overdue lesson on the importance of manners. When a man gives a public tongue-lashing to a misbehaving child, or a parking lot attendant is rude to a series of customers, the "Manners Killer" makes sure that the next thing either sees is the beginning of his own grisly end. When he starts mailing letters to the Southeast London police squad, he'll soon find out just how bad a man's manners can get. The Southeast is dominated by the perpetual sneer of one Inspector Brant, and while he might or might not agree with the killer's cause and can even forgive his tactics to some degree, Brant is just ornery enough to employ his trademark brand of amoral, borderline-criminal policing to the hunt for the Manners Killer. For if there's one thing that drives the incomparable inspector, it's the unshakeable conviction that if anyone is going to be getting away with murder on his patch, it'll be Brant himself, thank you very much. 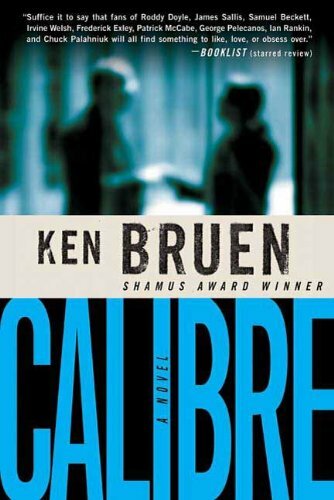 Ken Bruen's Calibre is original and astonishing hard-boiled noir.